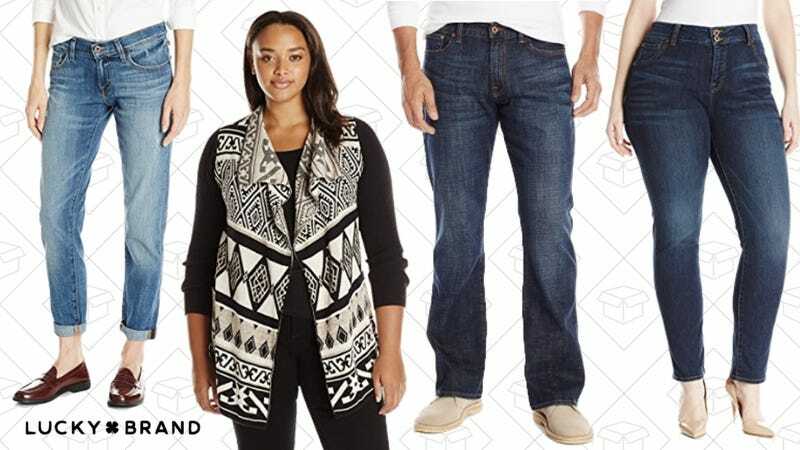 Amazon’s Gold Box is filled with all the Lucky Brand denim, tees, henleys and sweaters you could need. Everything is marked down up to 50% off, so you can score jeans for a steal. No four leaf clover required. But like every Gold Box deal, this one only last for today.